Martin is now in school and doing great. Our sponsors come from a wide variety of backgrounds, but one thing they have in common they believe their decision to sponsor a child in Rakai has changed their life forever. Here is the story of a young boy never given a name. His father died of AIDS and his mother suffers from a mental illness that makes it impossible to care for her sons. “I met a boy with no name two years ago while visiting Rakai. He was wearing a men’s torn shirt as a pair of pants with a huge distended belly and a bloody toenail. He did not speak much and was simply seeking out food. RODI has ensured Martin stays in contact with his family in Uganda. They are thrilled that Martin has such a bright future. 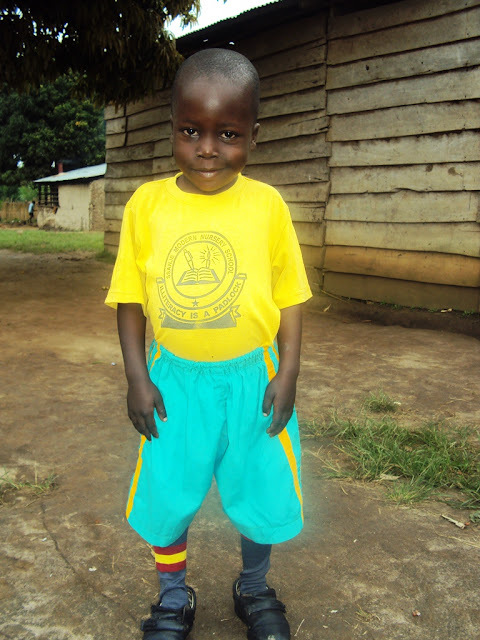 Martin's sponsorship has changed his life forever. ACT supports these grass-roots community efforts in Rakai, Uganda that directly impact women and children suffering from the social and economic ravages of AIDS. Change is happening. Be a part of it. * In his culture, you are not given a name until you are baptized.